The abundance of nearby restaurants is one of our favorite things about living in a community of apartments in Shadow Creek Ranch. No matter what kind of cuisine you’re into, you’ll be able to find a nearby restaurant that serves it. With so many eateries in the area, it can be hard to decide on a go-to lunch spot. That’s why we’ve decided to dedicate this week’s post to helping you figure out which lunch restaurants are worth your time and money. Below, you’ll find a list of some of our favorite lunch spots. Some of these restaurants are known for having an upscale ambiance, while others are better for a quick lunch that’s both affordable and delicious. 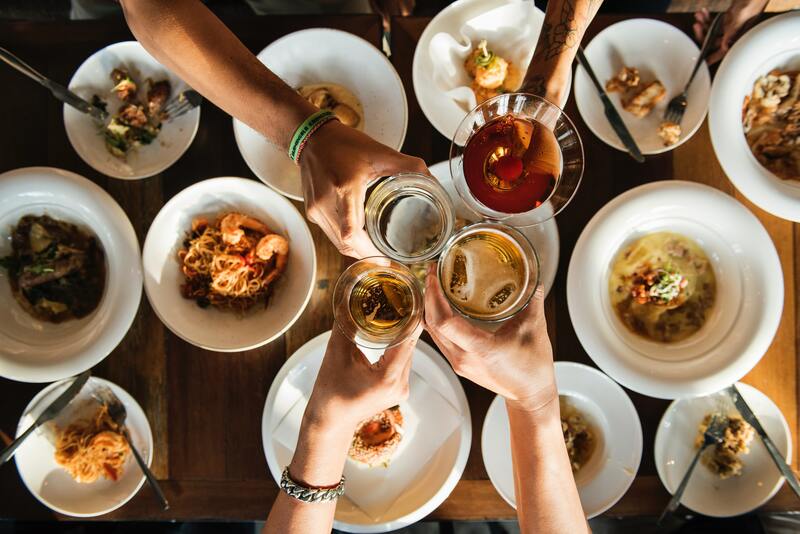 Whichever kind of lunch experience you’re looking for, you’ll be able to find it at one of these awesome eateries in the neighborhood around our apartment community. Let’s get right to the list of restaurants, shall we? When you’re done reading through the list below, please be sure to share the link to this page with your friends. Better yet, go ahead and share it with your neighbors at your favorite community of new Pearland apartments! This Asian fusion restaurant is number one on our list for a couple of reasons. First and foremost, we love the fact that they give you more food than you’ll ever be able to eat in one sitting. Secondly, we’re big fans of the variety of cuisine that can be found at Wrap & Roll. You can get crepes, quesadillas, egg rolls and everything in between. Whatever you do, don’t leave without getting an order of the loaded fries. This simple deli has daily lunch specials that simply can’t be beat. Antie’s specializes in Cajun food like jambalaya, Cajun fries and boudin balls. The lunch specials are usually more traditional meals like meatball and pulled pork sandwiches. No matter what you get, Antie’s is a great choice for a reasonably priced lunch. Last but not least, we have an upscale eatery that serves some of the best brick-oven pizza in town. The crust is perfectly crunchy, the sauce tastes like it was made in an Italian grandmother's kitchen, and the ambiance is cozy and comfortable. That’s the end of our list of the best lunch spots in the area! At this time, we’d like to take a second to thank those of you who have been coming back every month to read all the latest brand new blogs coming from Stella at Shadow Creek Ranch. We love writing these posts, so we’re thrilled to see that so many of you enjoy reading them. We’ll be back in a couple of weeks with more brand new blogs for our residents, so be sure to check back to read them! In the time between now and then, you can start your new year on the right foot — or taste bud — by trying some of the top-notch lunch spots on the list above.